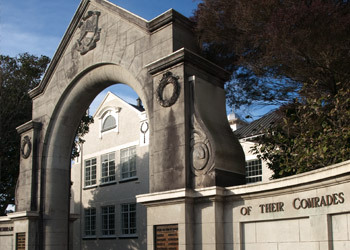 New Plymouth Boys’ High School does not have an enrolment scheme and as such will give consideration to any student whose parents make application for enrolment. Enrolment packages will be posted and delivered to contributing schools at the beginning of July, 2018. All enrolments involve an interview at which parents and pupil provide information and discuss with the Headmaster, or member of the senior staff, special needs or circumstances and the choice of subjects. Letters of acknowledgement for Year 9 enrolments will be sent by the end of September. Parents may, if they wish, enrol pupils directly at the school. In addition, parents of applicants for day school enrolments who live beyond New Plymouth will also need to enrol directly at the school. Parents must contact the school on telephone (06) 758 5399, and arrange an interview. Please don’t hesitate to contact us with any questions you may have when you are applying. Students still attending NPBHS, and wishing to return, do not need to apply for re-enrolment. Completion of the course selection form online is, however, necessary.